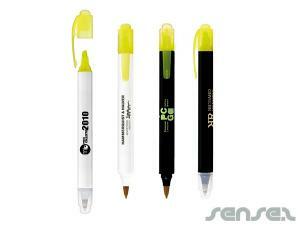 Nothing suitable in promotional highlighters? 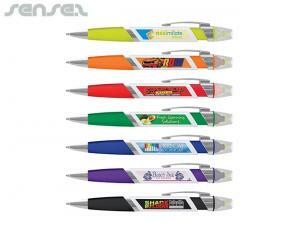 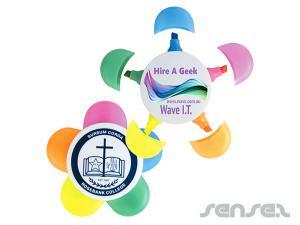 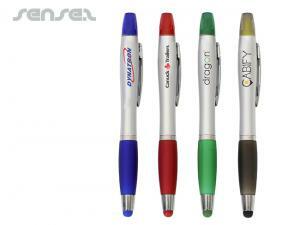 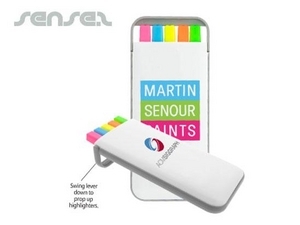 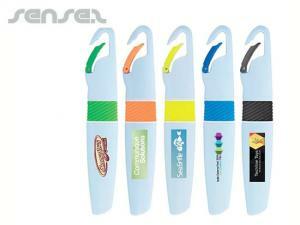 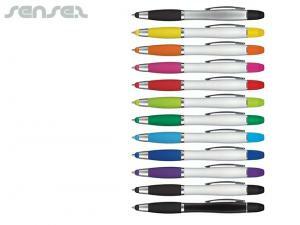 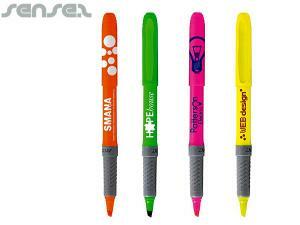 Branded cheap promotional highlighters are ideal for office and university innovative promotional giveaways. 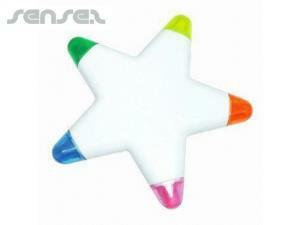 We have a range of cheap highlighters available for any merchandising campaign. 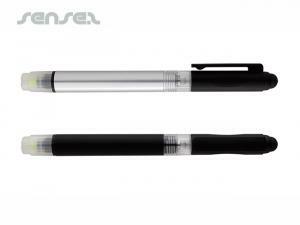 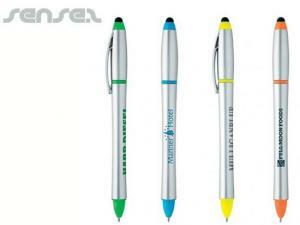 We have a selection of different pen & highlighter duo pens available - they make functional and practical merchandising gifts. 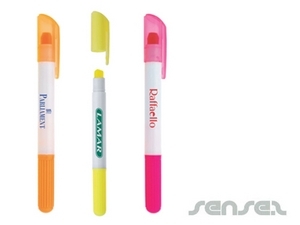 Choose from one of our many custom printed corporate merchandise highlighters, mini highlighters, highlighter pen sets, cheap highlighters. 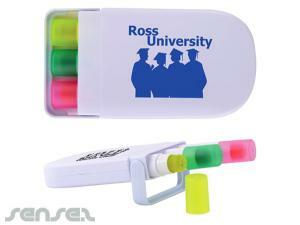 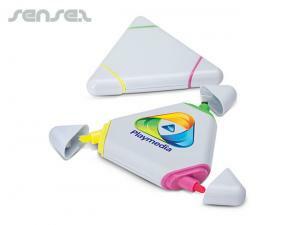 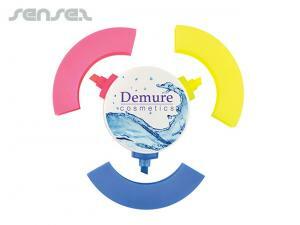 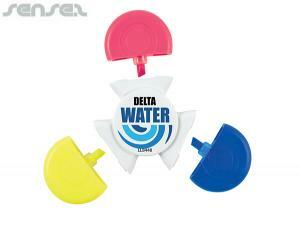 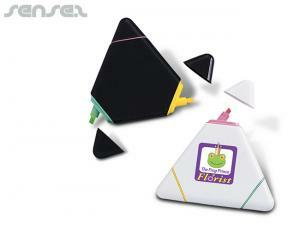 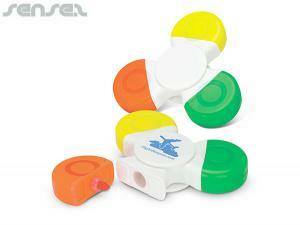 Our branded triangle and daisy highlighter sets are great for university open days and promotions. 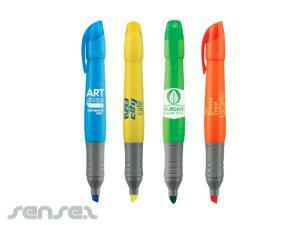 We also have promotional highlighter custom printed pens with integrated sticky note flags - taking notes has never been so easy. 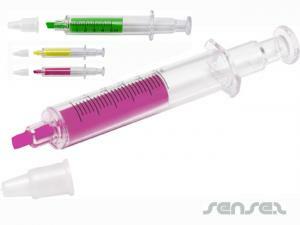 Our branded syringe shaped highlighter pen is ideal for medical centers and doctor office s. Promotional jumbo size fluoro pencil highlighters and great for children or the office. 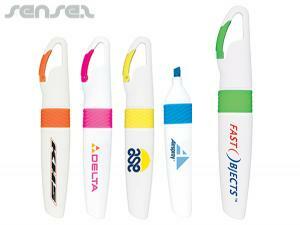 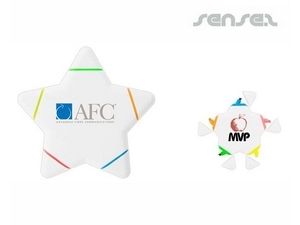 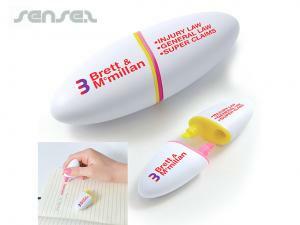 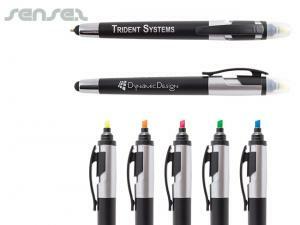 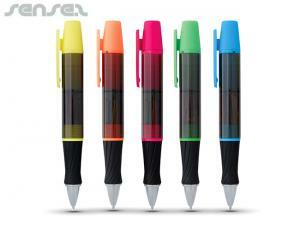 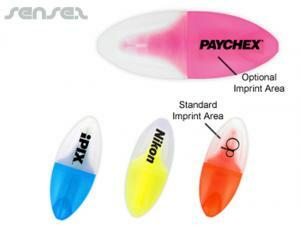 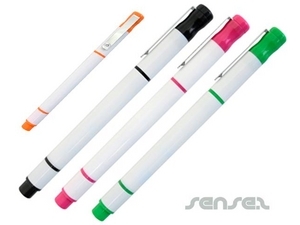 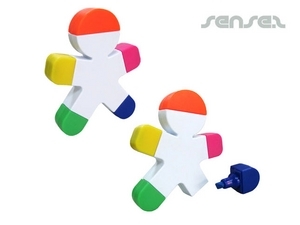 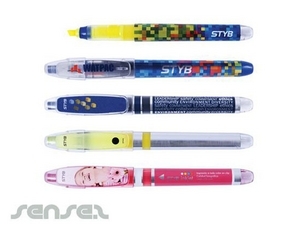 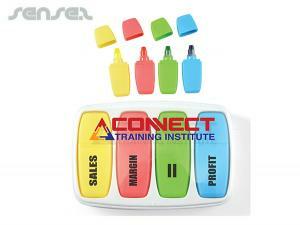 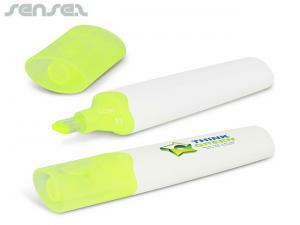 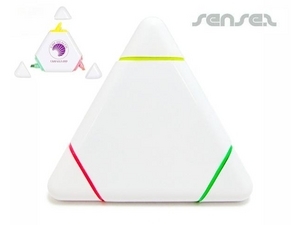 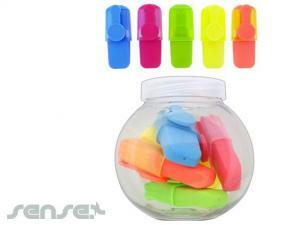 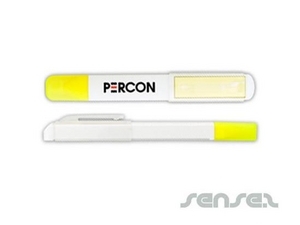 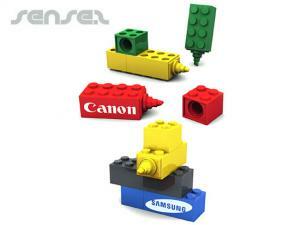 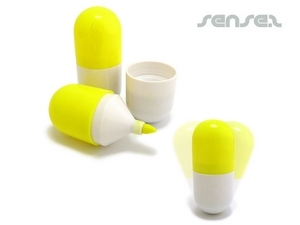 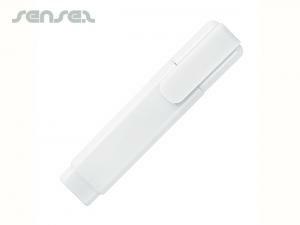 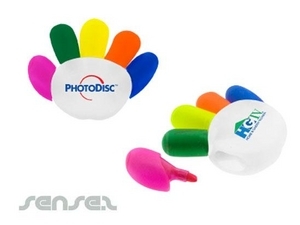 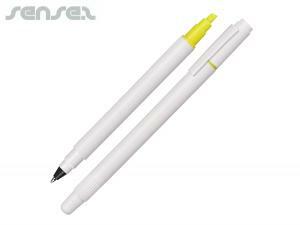 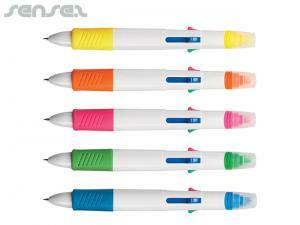 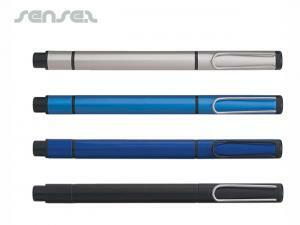 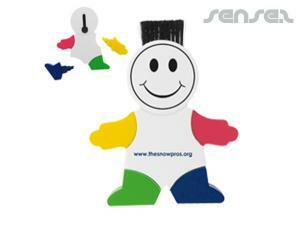 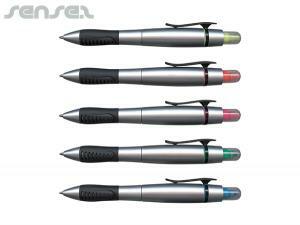 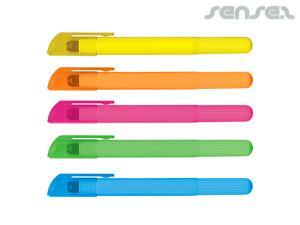 Promotional highlighters are also ideal for advertising agencies.